PayJay Productions, Inc. was the company James Dewitt “J Dilla” Yancey founded in 2001 to house his production company and his publishing company. But it was also a symbolic move: PayJay was a sign that the maverick producer then known as Jay Dee would see his individual goals in music industry realized, and he would get paid in the process. The Estate of James Yancey has revived PayJay as a functioning imprint, and is announcing its release of J Dilla’s long lost vocal album, The Diary. The first single “Anthem” b/w “Trucks” is now available as a pre-sale at rappcats.com and will be released on vinyl early this spring. 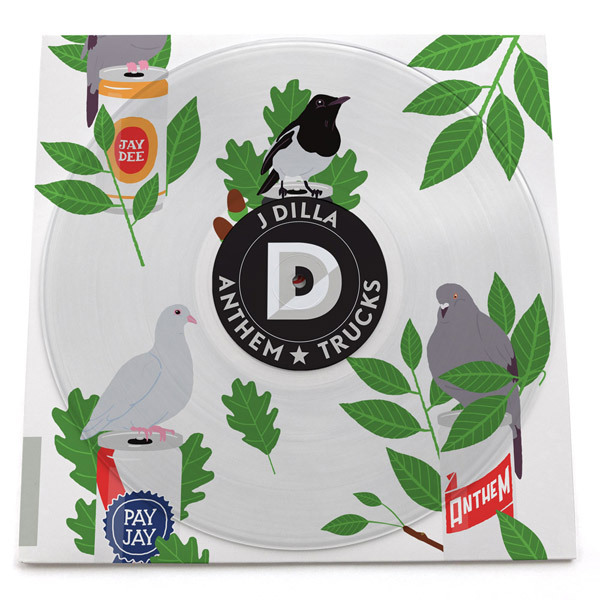 Both “Anthem” and “Trucks” were produced, and feature complete vocal performances, by Dilla. The tracks come straight from multi-track masters found on 2-inch tape shortly after Dilla’s passing in 2006. These songs have been mixed by engineer Dave Cooley, who worked extensively with Dilla during his years in Los Angeles. Using Dilla’s original demo mixes as his guide, Cooley attempted to finalize Dilla’s vision for these tracks, while keeping all of the elements that Dilla had in place in his original demos present. The Diary is an album of vocal performances recorded between in the early 2000s over production by the likes of Madlib, Pete Rock, Nottz, House Shoes, Karriem Riggins and others. PayJay recently issued the “Dilla World Tour” tee shirt in conjunction with clothing brand Stussy, and a collaborative figure is set to be released in 2013.